Today is all about Smarties. The top picture was when we took the kids out for breakfast. 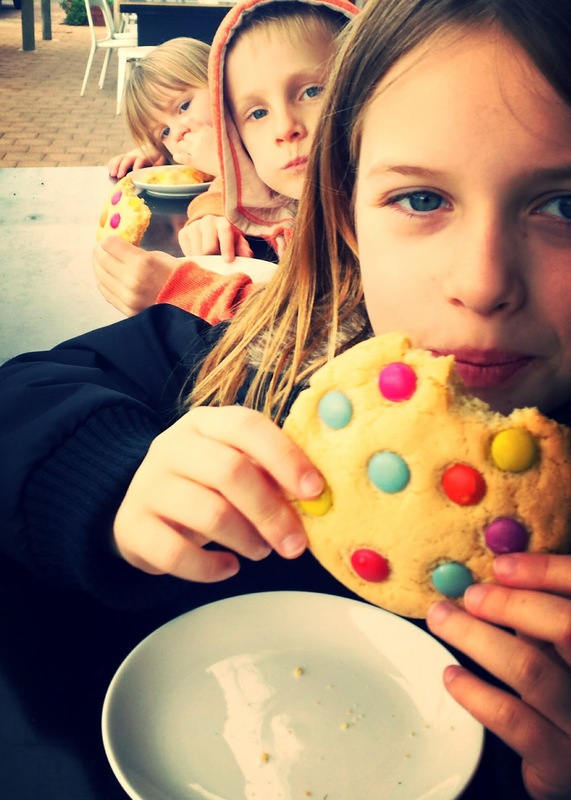 Yes I know, I know, gigantic Smartie cookies for breakfast with a hot chocolate is hardly a nutritious brekky but hey, Its the holidays! 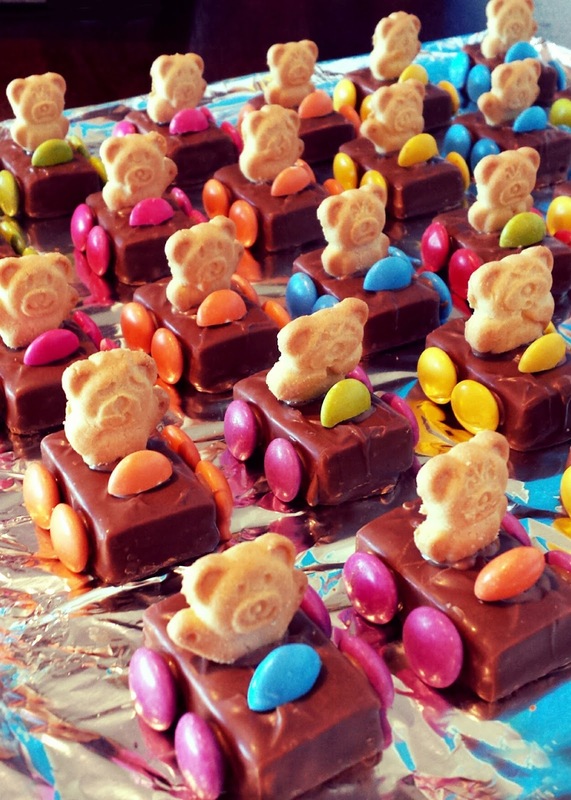 The Tiny Teddy cars I made for a little family party we had at home for my son, and if you would like party food that's a big hit with the little ones, then you need to make these! Set out tray or serving plate for Teddies. Sort the Smarties into colours and cut 12 Smarties in half with a sharp knife to use for the steering wheels (keep in mind steering wheel colours need to match the wheel colours). Remove the wrappers from the Milky Way bars. Cut 24 Tiny Teddies in half at the belly button with a sharp knife. Place the melted chocolate into a resealable bag and snip a tiny corner off. Squeeze out a few drops of chocolate to glue 4 Smartie wheels on each car then place on a serving tray. Place a few drops of chocolate on the top of each car and sit the Teddy's on. Place a drop of chocolate on the car in front of each Teddy and glue on the steering wheels.